The prince, who has done his very best to keep a low profile during his travels, is spending three months working on conservation projects in South Africa, Botswana and Tanzania and is currently in Namibia. Harry and his older brother prince william support the Tusk Trust charity in its stance against so-called “trophy hunting”, urging African governments to make it illegal to hunt rare and endangered species such as rhinos and elephants. But Mr Shifeta defended Namibia’s tolerance of the practice and warned Harry not to speak out against “trophy hunting”. He said: “People need to understand that the hunting of these animals is totally legal.He will also dedicate two months to working with wildlife protection experts, as well as working alongside Zimbabean-born Pete Morkel, who is helping to combat threats to the rare black rhino. 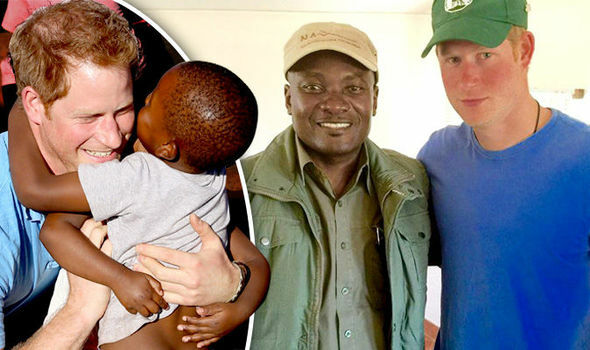 Kensington Palace said the programme was designed “to give [Prince Harry] a first-hand insight into the urgent challenges faced by people on the ground working to protect Africa’s natural heritage and support both wildlife and local communities”. This entry was posted in TV+ShoBiz and tagged Florida, he British royal announced on Tuesday, July 14, Prince Harry's Invictus Games Is Heading to the USA, that the second Invictus Games has been awarded to Orlando. Bookmark the permalink. The prince is a very lucky man. He can fly around the world at the click of a finger because he has money and power. He get to experience only what we dream.